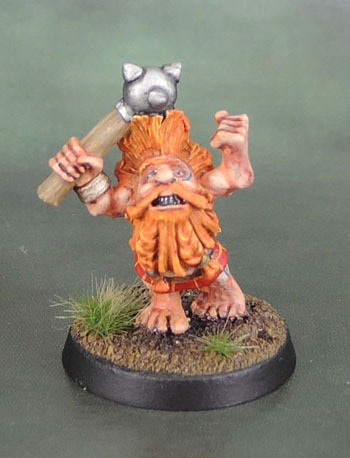 Troll Slayer | Azazel's Bitz Box. 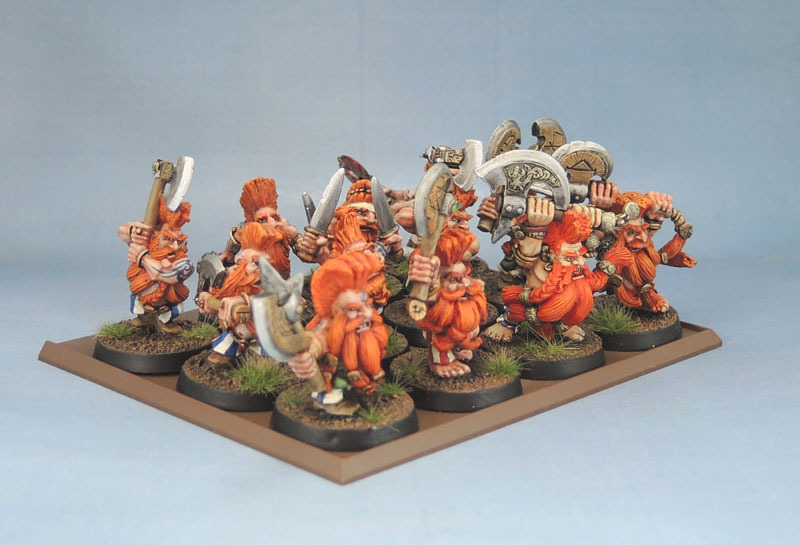 Marauder MM16 Dwarf Slayers – Group Shot! Here’s the full range on release, which I am missing three models from. 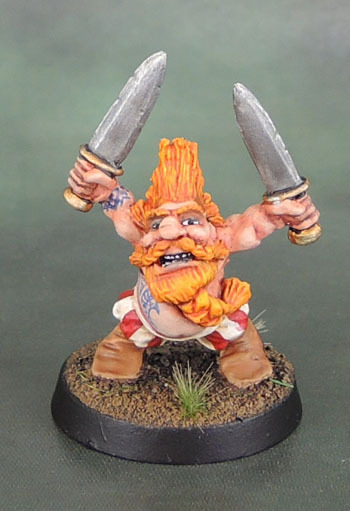 Of course, there’s also a variation on one of these guys, plus a scattered few from other Marauder Ranges, and then an expanded but separate range of MM Troll Slayers. 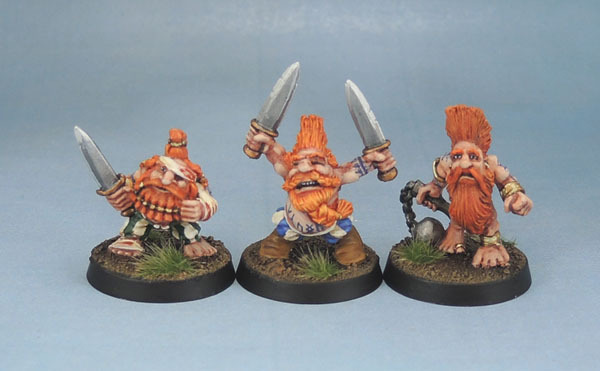 While I’d really like to get the missing three (and every other Citadel and Marauder Slayer model that I don’t own), I’m not going to kill myself over it, instead I’ll keep an eye out on eBay for them at reasonable prices. Wish me luck! 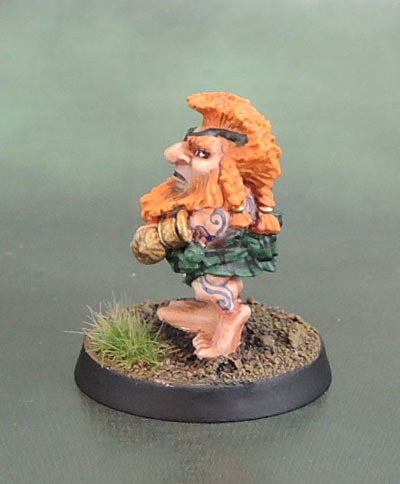 Taking a bit of a respite today from the 40k-centric series of posts that have dominated the blog for the past few weeks, we’ve got a fantasy post again, dealing with some more classic models. Ahh… the 1990’s. Those were the heady days. 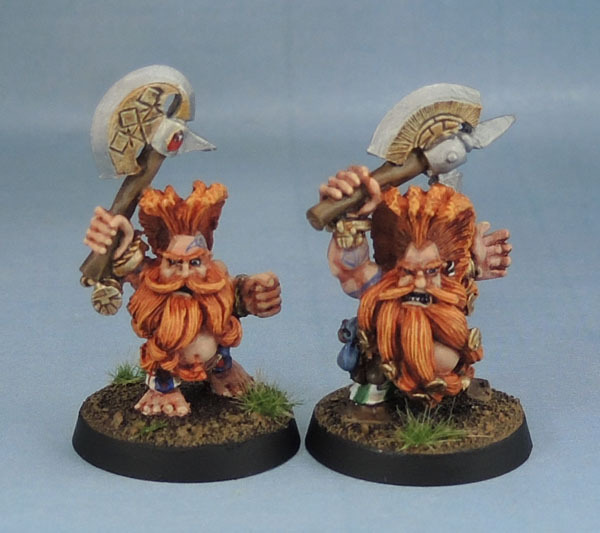 When Games Workshop decided to split up the three figures in their command blisters so that they could sell you the unit champion separately. 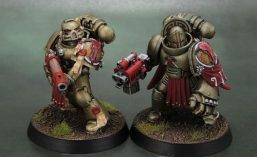 Making their first catalogue appearance in 1998, quite a few years after the majority of the range were out, are the first of Citadel’s Slayer Command pairs. 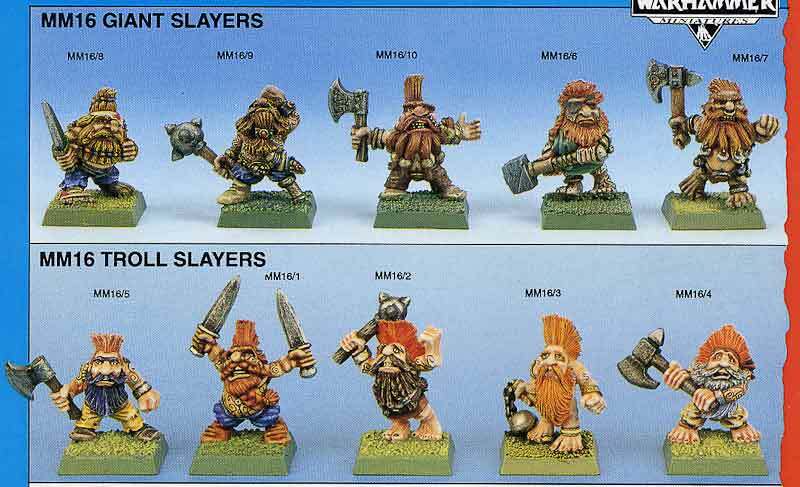 Interestingly, they’re labelled “Troll Slayer Command” rather than “Giant Slayer” (which these particular figures fit far more closely). 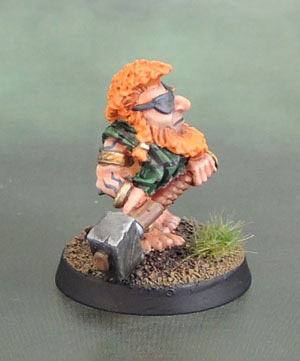 Either way, I was well gone from WHFB by that point in time, due to the Herohammer that it had become. So these figures had been sitting on my desk annoying me, and silently taunting me to get them finished since I started painting my slayers over a year ago. But that bloody standard! 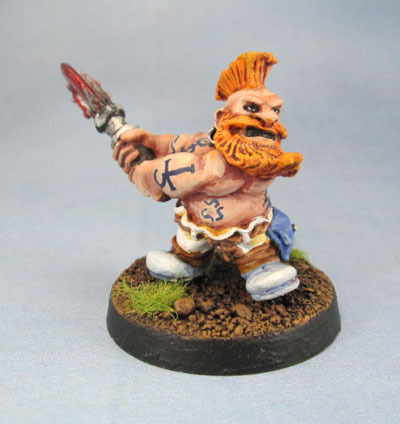 Eventually, I was doing a google image search and saw …someone’s kitbash of a similar figure. 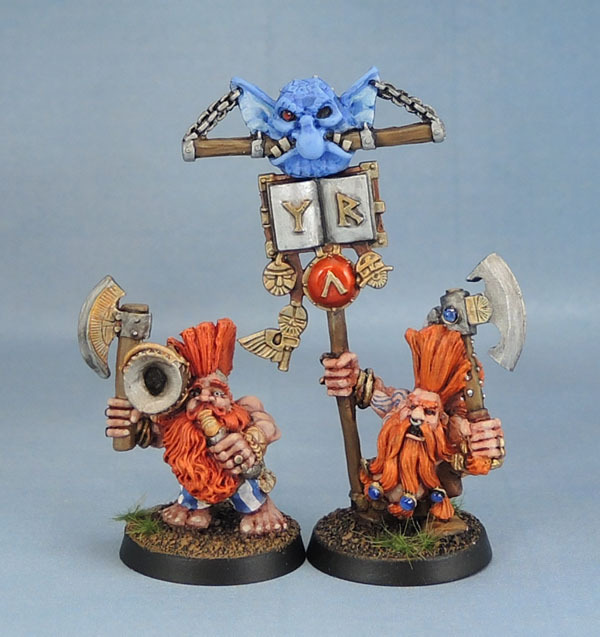 They’d glued some of the extra standard bearer junk found on the various plastic Dwarf kit sprues to the thing. And it looked bloody good! I’ve always had a bit of an issue with the idea of daily posts. In “lean” times, I’ve struggled to have enough content to even post weekly, though for some time now – pretty much all of 2017 – my issue has been a backlog of painted, completed stuff to get through posting rather than not enough to scratch up a post with. Sure, I could post everything 5 or 10 at a time as I used to, but to be blunt, I figure that I spend enough time working on these models as individuals that I think they deserve their own “space” to be showcased, hence my move towards posts showing 1-5 figures at a time. The solution – for now at least – will be occasional posting on sequential days. Mostly towards the latter half of the week and weekend, though not too frequently, since I like to give my posts a bit of space to breathe and I’m also conscious of not overwhelming the people who take the time to check my stuff out. With all that said, here’s today’s model. 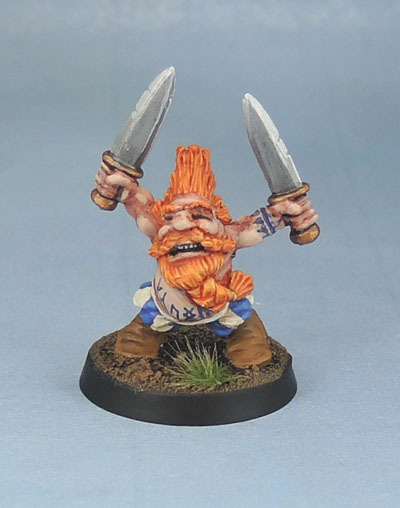 This guy is the final one of my Marauder Slayers. *As far as I know, at least. 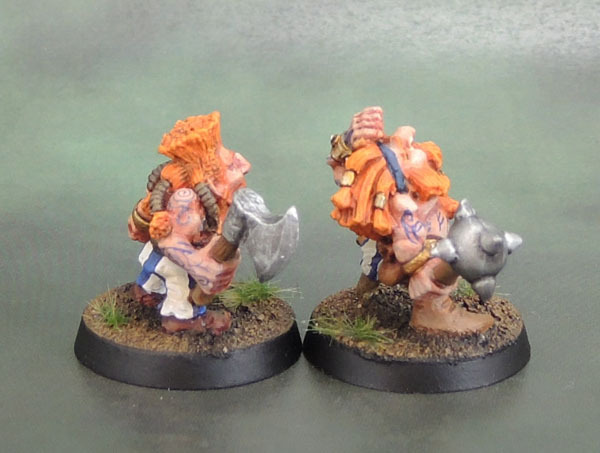 Clearly, the reason he’s lagging behind by himself isn’t because I forgot to photograph him at the same time as the previous pair of slayers and only had one left to do… Oh no! It’s because of other reasons. Clearly, someone stole his moustache and he had to investigate! Since he’s wearing not only a kilt but a fly plaid over his shoulder, I went for a simple tartan using a dark, muted green. Since that’s all he appears to be wearing, aside from some jewelry, the rest is simply tattoos, skin and tattoos. 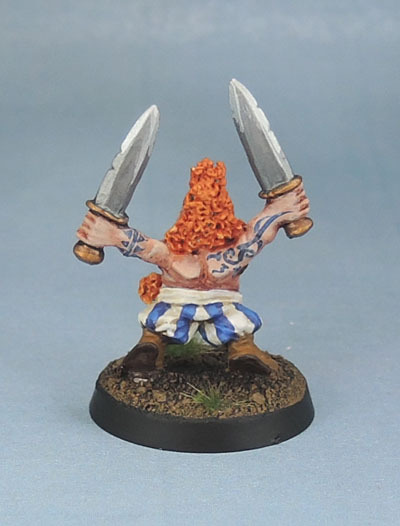 I’m happy with the look of the tattoos here for a change, and that’s something that I can at least say I’ve improved on to a point of satisfaction as I’ve worked my way through these slayers. Tattoo colour and stubble. Tattoos. I certainly used that word a lot here. In the past, I never liked this particular figure, probably because of his lack of moustache to go with the beard, but having painted him I now quite like him, and the chin curtain he sports is one of the main reasons why. He’s one of the more sensible of the Marauder Slayers, and could easily be used as a Roleplaying figure or a character of some sort. 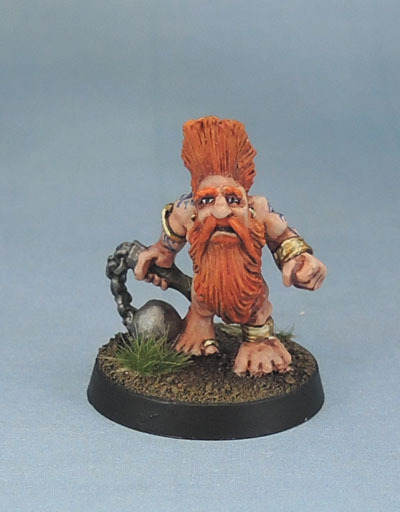 Yes, he absolutely has an oversized head, even by the standards of Citadel’s macrocephalic dwarves, but he does at least have a lot of character in that noggin and face. 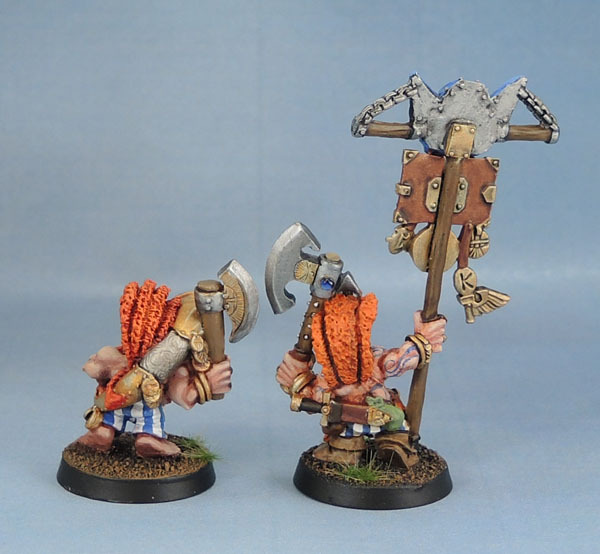 As I steam (or limp) towards the end of my collection of metal slayers, we have two of the last four Marauder ones – unless I find more in a baggie or box that have been there for years or buy some more off eBay in that never-ending search for “at least one of each sculpt”. I think I might have gone a little too faded on the tattoos on this pair, particularly Mr.Redstripes. The second model seems a little goofy to me. Goofier than normal, then. Or worse proportions than normal. Still, put him in a crowd or view him from standing-gamer height and he looks fine. I gave his kilt (or short skirt) the same tartan that Rowdy Roddy Piper used in his heel heyday against Hulk Hogan during the first Wrestlemania. I’ve used it before on a WarZone figure that I evidently never photographed – I’ll have to fix that shortly. Anyway, it’s simple and effective from a distance. Probably the reason that Hot Rod used it back in the day. 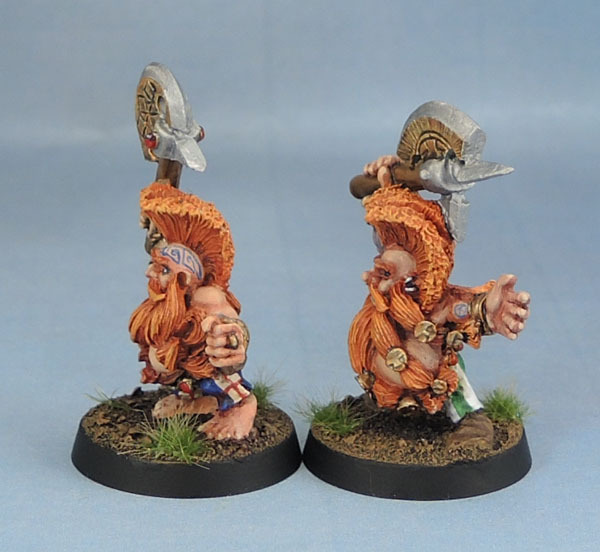 I have been going back and forth between Dwarves and Orcs a bit over the past couple of months. Well, rather than break that pattern, I’m going to continue with it while I get a bunch of models on my desk completed. Hopefully without adding too many more to the queue. I recently decided to dig out all of my metal Slayers with the intent on working my way through them. In that batch are a pile more of the mid-90’s range, as well as a bunch from the Marauder range. 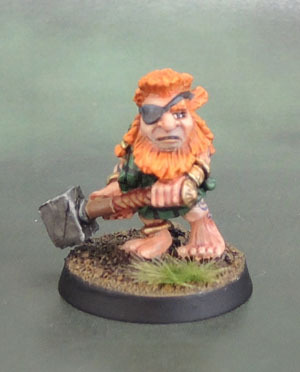 I was never a big fan of the Marauder Slayers. They were just a bit random for my taste, and a bit cartoony to boot. While the Slayer look wasn’t as fully defined at that stage, the archetype that will always work for me is “Wild Nyjhul”. The Marauder Slayers were overall a bit far from that. 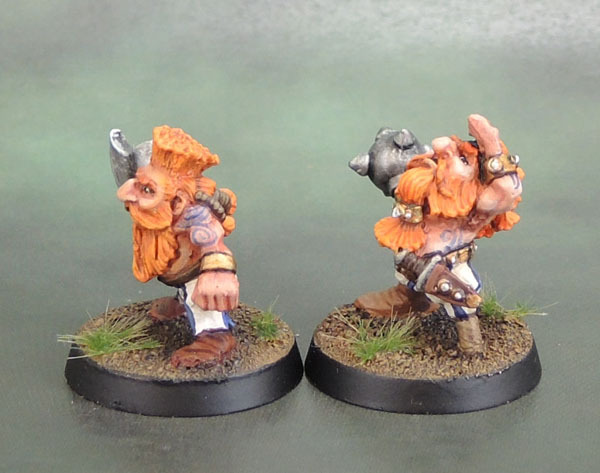 I don’t think the painted examples helped too much either (grey beards and orange hair just looked – and still looks – odd). 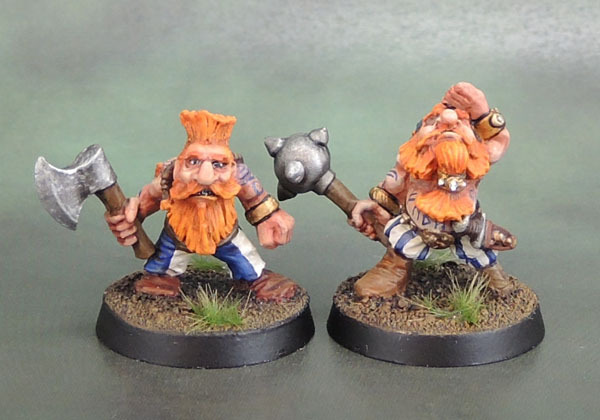 Finally, I just didn’t like the Morrison’s Dwarf sculpts as much as I did the Perry’s. 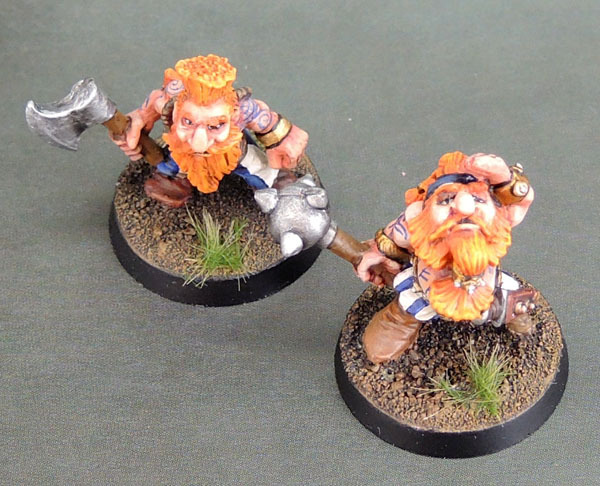 Some of their other Dwarves are very fine, but their Slayers just aren’t as good. 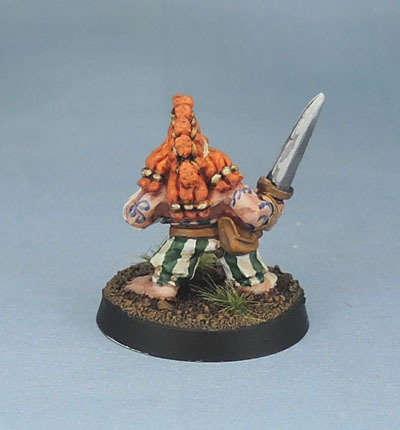 Citadel’s Dwarves have always had wonky proportions, but the Marauder Slayers were overall a step a little too far towards them just being heads with arms and legs attached. Now that I’ve spent the last 5 minutes slagging them off. 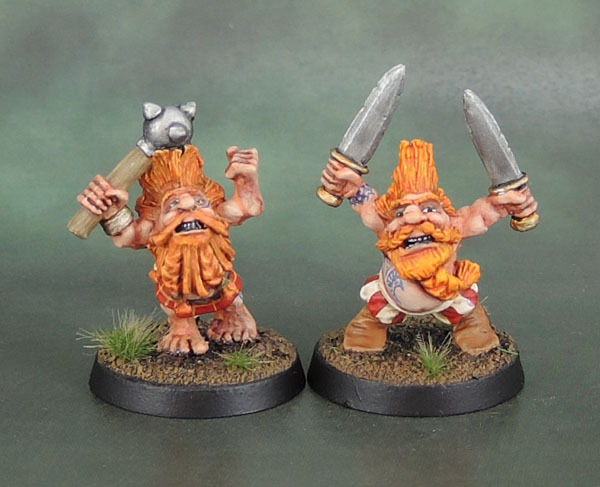 The act of painting them has warmed me to these models a bit. 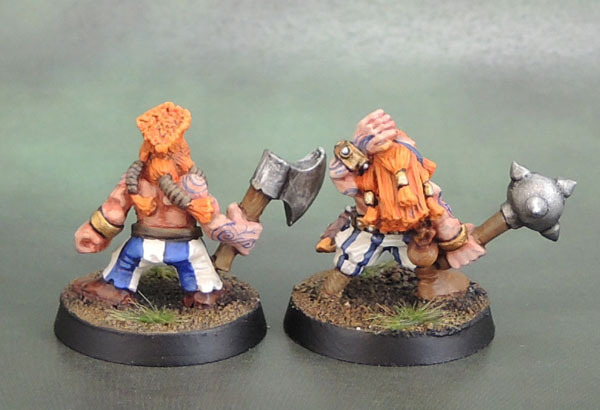 I also like the fact that they’re not all armed with the typical axes. 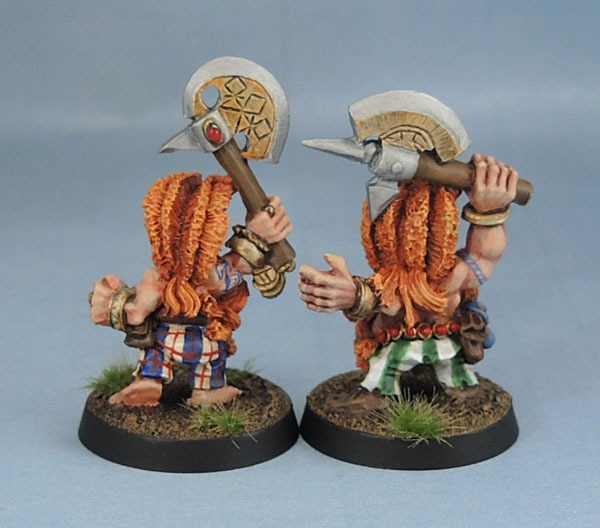 After all, Dishonoured Dwarves would have come from a variety of walks of Dwarven life, and so I see the other weapons mixed in – particularly the swords – as a reflection of that. 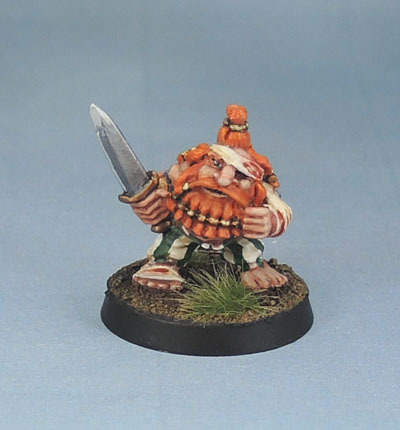 Particularly for the (let’s face it) less impressive models like the Marauder models that can be viewed as representing Dwarves who have more recently taken the Slayer’s Oath. 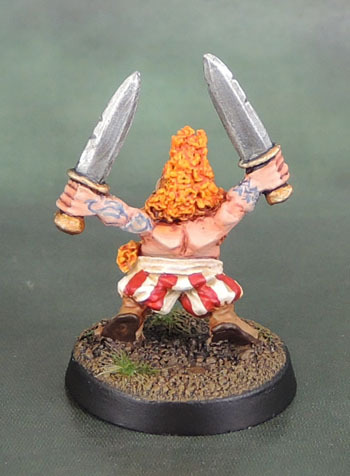 For the wounded slayer, I considered adding fresh blood to his wrappings after varnishing the models. I decided against it, instead going for more of a dried blood stain on them than a monents-fresh set of wounds. Think David Wenham in 300. 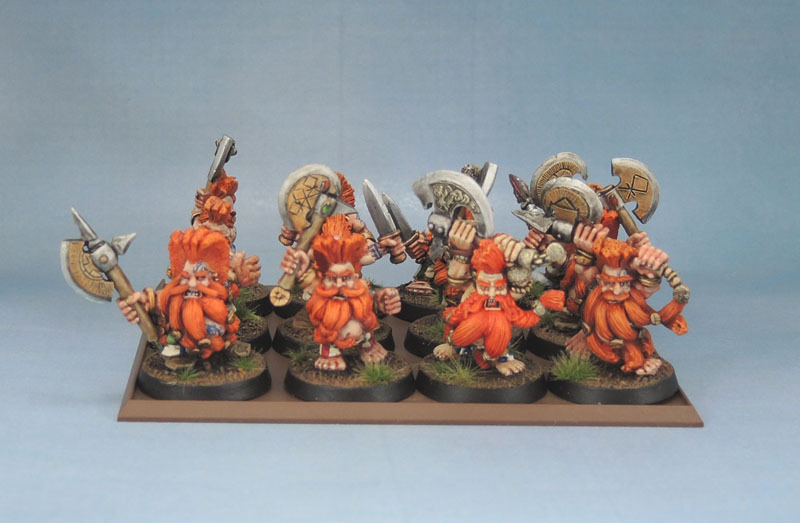 I decided on a group shot of all my currently-finished Slayers, to see how they looked together. 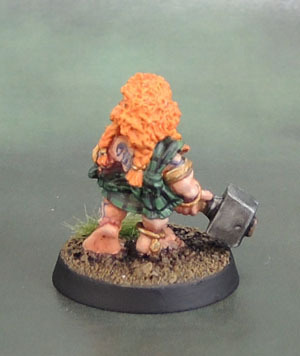 Also including the rebased-on-32mm Stonehaven Dwarf Berserker, who I think looks much better on the larger base. Then while putting them all back onto the shelf with the new three, I noticed that I actually had enough for a complete KoW regiment, plus the two heroes on their 32mm bases. 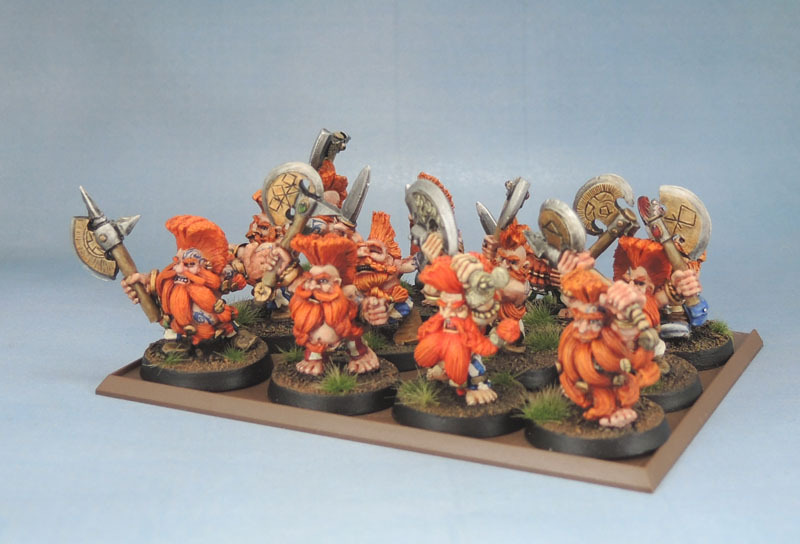 So, having accidentally achieved Numberwang, I took them down again and mounted them on a unit base and took a couple more photographs. They’re guaranteed to be juggled around as I complete more of the metals. 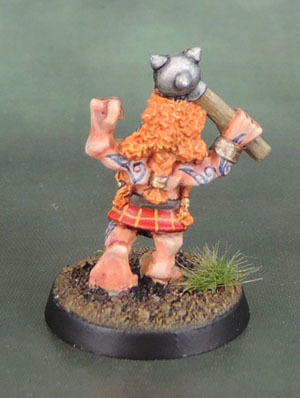 The later Giant Slayers will be condensed into their own regiment along with standards and musicians, while the smaller models – Troll Slayers as well as the Marauder and older Citadel models will end up on their own regiment base. But for now, they’re ready to kick some arse as a single unit!